Uppsala's beautiful cathedral in dramatic light. 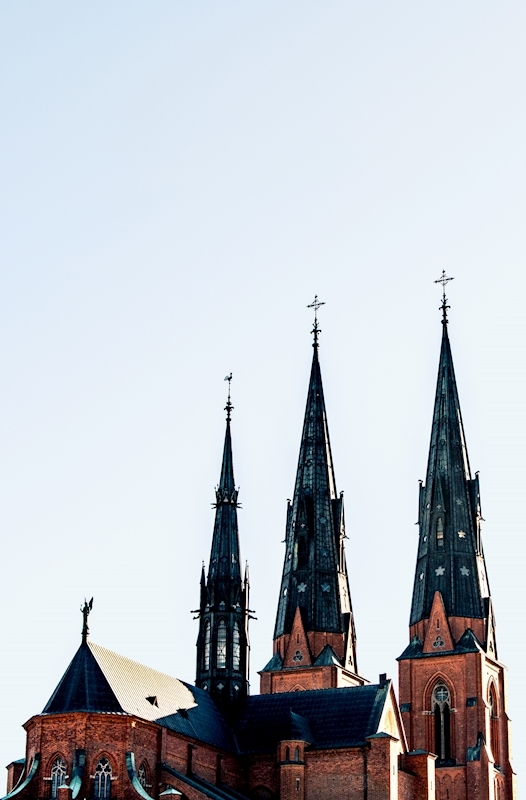 The cathedral in Uppsala has played an important and central role in the city since the early 1400s. The church is 119 meters tall and equally high depicted by as well artists as illustrators and photographers. We think Linus with his photo twins has managed to capture the church in a new and exciting way, focusing on the two twin towers that reaches up towards a clear blue sky. If you are looking for a poster, print or framed picture of Uppsala's most beautiful church and want to buy something personal and unique from a local photographer, then this is a good choice. Check out our hand-picked photo art collection with motives from Uppsala if you want any matching print to go with this one.